Rehabbing old properties sounds glamorous but it’s dirty business. Smacking everything apart and returning it to rights makes of mess of clothes and boots. Clothes go into the Maytag. The boots? Special care is required. Like we learn in the Army, you gotta take care of your feet. That means taking care of your boots. When the dust settles, I return my boots to factory specification. A good cleaning, then boot oil. First a strong hose to remove mud and concrete dust, blood and sweat. An old kitchen pad rubbed about in dampened Fiebing’s Saddle Soap gives me a hearty lather for sturdy scrubbing. After a good rinse and a day for the leather to dry, its time to hydrate. Red Wing Boot Oil came with the Red Wing boots. It sat for years as earlier boots crumbled into tatters. Finally Redfern explained to me in simple terms I could remember. 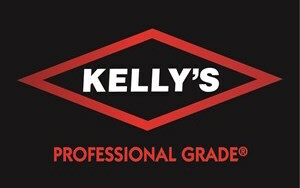 “You’ve got to keep the leather oiled”. My current #1 pair of Red Wings are over a decade old, factory-resoled once. The #2 pair, still almost dressy, six months. Alternate days gets alternate boots. They both get the same care. Keep’em clean with soap and water, and when the dirt becomes embedded, Fiebing’s Saddle Soap then a good boot oil. 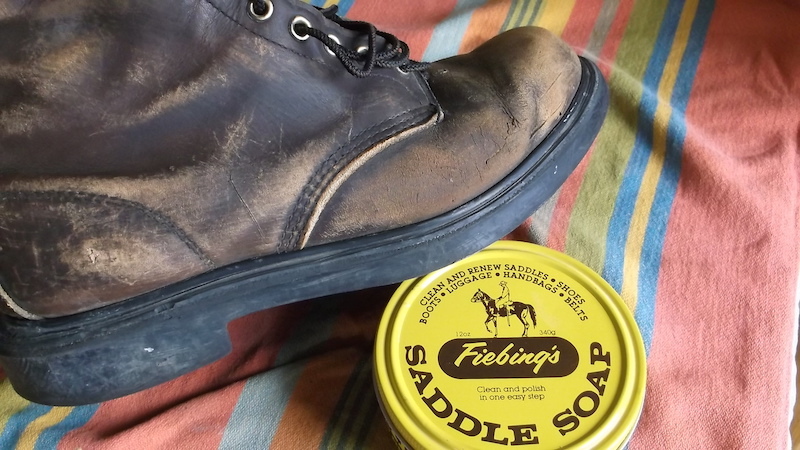 This entry was posted in Product Review and tagged fiebing's, red wing restoration, saddle soap. They also have the coolest logos!